The Taj Mahal is thought to be the most photographed monument in the world. Anyone fortunate enough to pay a visit should resist the temptation to pick up their camera immediately and instead go at dawn to soak up the tranquil atmosphere. The Taj’s gardens offer a more blurred version of the symmetry displayed in the mighty mausoleum. They are laid out in the Persian ‘paradise garden’ style beloved of the Mughal emperors. Hundreds of shading trees line the fountain rills and criss-crossing pathways, whilst avenues of cypress (signifying death) and groves of fruit trees (signifying life) maintain the impressive formality. 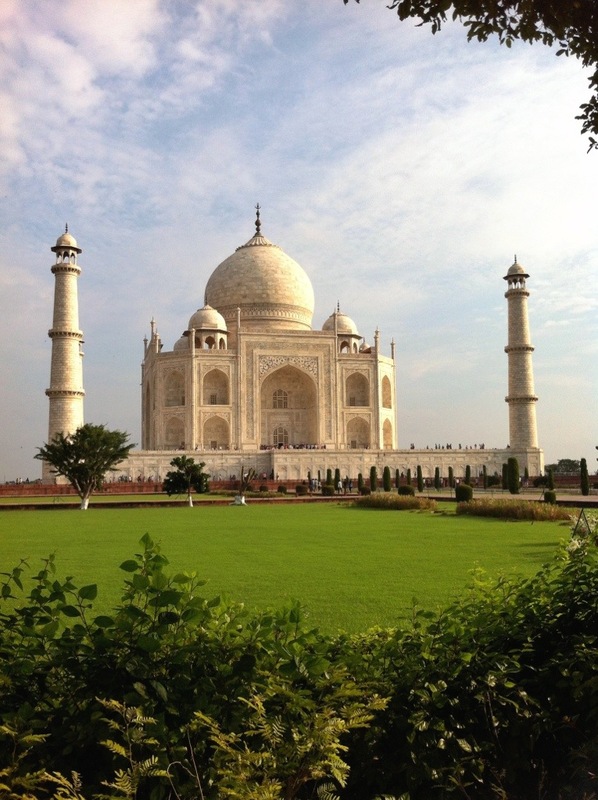 Almost four hundred years after construction the Taj Mahal in its garden setting never disappoints.